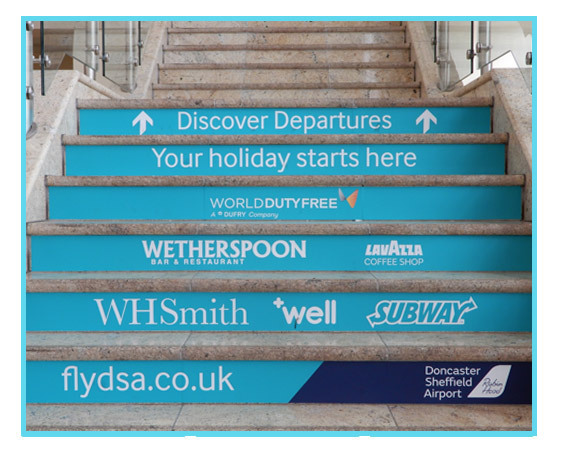 To encourage passengers through Doncaster Sheffield Airport to arrive early, and go airside sooner in order to enjoy the ever increasing facilities available before they depart. 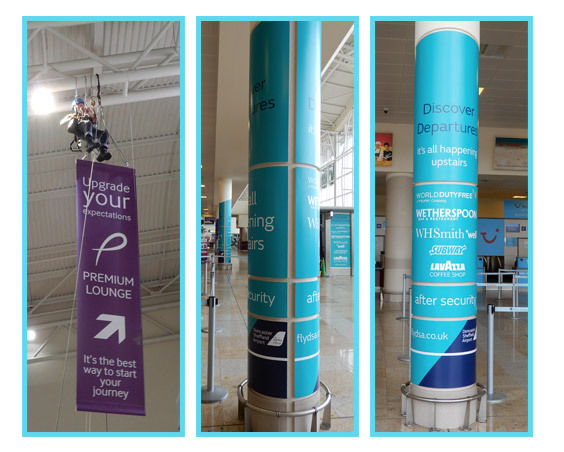 A major brand driven airport wide campaign featuring posters, FIDS, suspended banners, floor graphics, flyers, lift wraps and exhibition modules, strongly on brand at all times for both DSA, and the retailers involved. 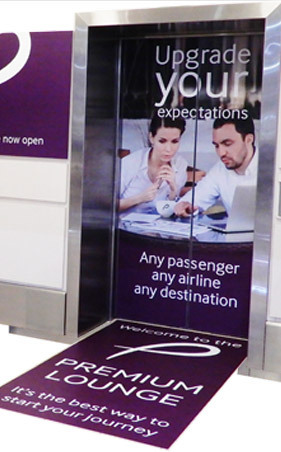 The retail campaign informs and appeals to those of all ages who don’t know, and encourages those who do, to make sure they enjoy all the exciting shops, bars, restaurants, and relaxation and play areas before their flight, from the Premium Lounge, to children’s Playport area, and the ever-growing number of household name retailers at Doncaster Sheffield Airport.